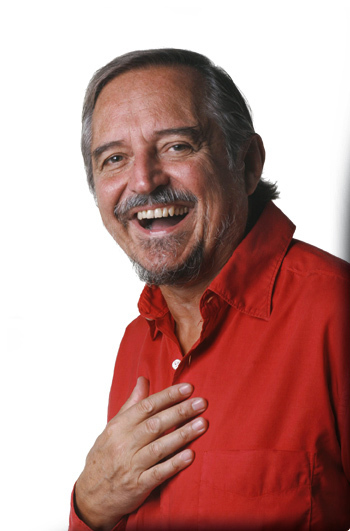 Gianni Ferrario is a successful Italian actor, playwright, trainer and performer working with International organizations. In his role as a corporate jester ®, he delivers experiential workshops and energising performances as part of training initiatives, corporate events and conventions. Gianni, who comes from a managerial background, also collaborates with a variety of institutions, such as theatres, schools, hospitals and other communities to deliver his ‘pills of good humour’ and encourage a positive approach to life. He has dedicated many years to the teaching and practice of disciplines that promote internal growth, harmony and creativity. In his training applications, Gianni makes use of LAUGHTER THERAPY ® and of other extremely original theatrical techniques as ways of recharging his audiences with energy and vitality, to enhance creativity and improve organisational climate. His experiential workshops and ‘corporate theatre’ performances combine elements of stage acting and performance with an inner self-awareness process. They are particularly valued by his audiences for their ability to generate involvement and enthusiastic participation. "Il Teatro al Lavoro - Teorie e tecniche del teatro nel mondo del lavoro"
He has held courses at academic level, collaborating with various institutions: SDA Bocconi School of Management, Università Cattolica in Milan, Verona University, Scuola Superiore S. Anna in Pisa, LIUC (Libera Università Carlo Cattaneo) in Castellanza amongst others. He is currently teaching in the Event Management Master programme at IED in Milan. He regularly delivers experiential technique coaching sessions in the area of STRESS management for the Province of Bolzano. "Problem-solving training" and "The three sources of energy"